This lamp is ideal for the Professional Therapist. A 12.5cm diameter, 3 diopter clear, glass lens with diffuser and 22 watt fluorescent Natural light bulb for optimum visual output and low heat. The slimline head allows access to work underneath, with a 90cm extending arm that is perfectly balanced for extra stability, with fewer moving parts for fast, easy adjustment.Complete with a sturdy G-clamp that will attach to any surface, trolley or table. Perfect for salon use and light enough for the mobile therapist. 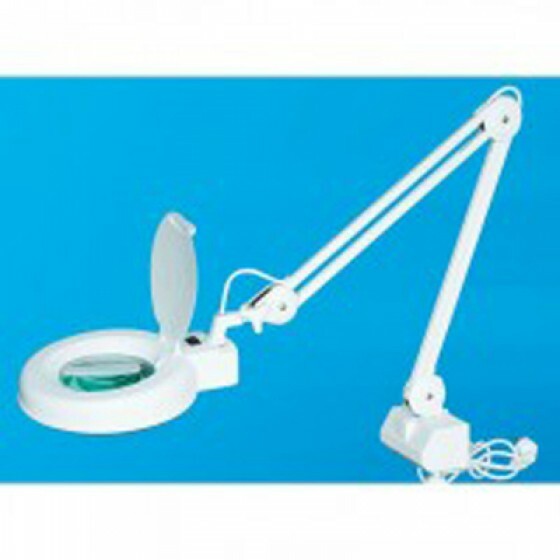 Review "SkinMate Slimline Magnifying Lamp(3 diopter lens)"